This week, with college deadlines fast approaching (the Thursday after this upcoming Thursday) my Independent research fell completely by the wayside, to be completely, painfully honest. I did, however, finally come up with a title that I like: Syria’s Downfall: Why No One Can Win but Assad Can’t Lose. I was debating between a grandiose, wordy title that invoked images of university gothic, and this, a more concise, slightly lower-level, but I believe more interesting title. The current events assembly this week was wonderful, but there were many items on which I disagreed from the presenters. 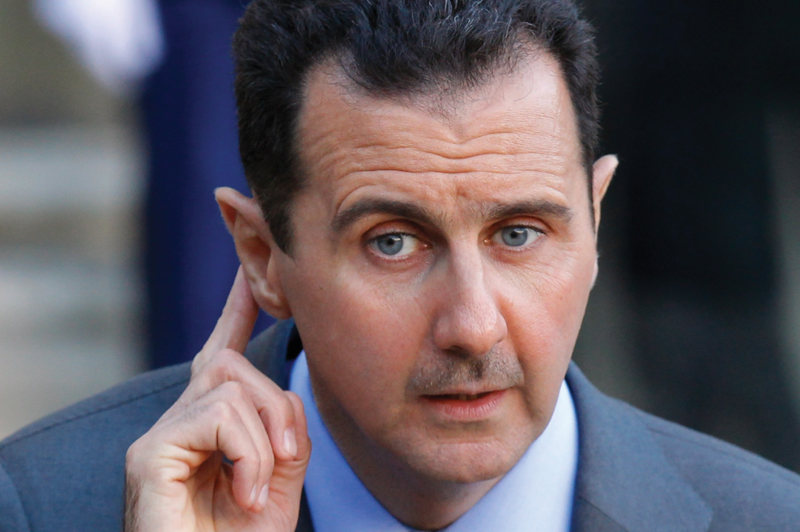 For example, they insisted that the chemical weapons had been used by Assad (featured below) and his Alawite government (incidentally, I was also hoping they would explain the ethnic issues between the Alawites and the Sunnis) while I held that it is more likely that the rebels accidentally released Sarin gas into the Damascus suburbs accidentally. The realization in recent weeks that has been bothering me is, essentially, the title of my piece. I have come to (the what I believe to be unavoidable) belief that Assad is too strong to lose. I’m struggling to keep the moral quandary of whether or not this is a good thing out of my research, which I will talk about more next week, but for the moment, I will leave you with the thought that this guy may have a long while yet as Syrian president. This entry was posted in History and Current Issues and tagged independent study, middleeast, syria, westtown school on October 20, 2013 by nateurban2013.